January 2, 1930 - April 7, 2019 West Grove, PA | Age 89 Loving Father, Grandfather, Great Grandfather, Brother and Friend. WILLIAM A. FINNEN, Jr., age 89, of West Grove, PA, passed away on Sunday, April 7, 2019, at Penn Medicine Hospice, West Chester, PA. He was the husband of Jane Abernethy Finnen, who passed away February 7, 2019, and with whom he shared 65 years of marriage. Born in Union , NJ, he was the son of the late William A. Finnen and the late Lillian Steigerwald Finnen of Landenberg, PA.
Bill served his country as a member of the U.S. Air Force, and was a Korean War veteran. He had 34 dedicated years of service with AT&T and retired in 1987. Bill Finnen served the community of Penn Township for 55 years. As Township Secretary from 1960 to 2015 and as Township Supervisor from 1972 to 2015. Bill and his wife, Jane provided the township with its first home in the basement of their house, where public meetings were held and the business of the township was conducted. They were known to provide baked goods and coffee for every meeting. During his tenure, the township grew from a farming community of 960 people to a suburban community of 5,511. During his tenure, the township built a township building, a ten-acre park, and developed into the commercial hub of southern Chester County, including a thriving business district, shopping center, hospital, YMCA, and multiple age-restricted housing developments. Even in retirement, he remained an active member at various township events such as the annual picnic and served on the Planning Commission, Historical Commission and Friends of Penn Township. He was a member of the Swayne, Campbell, Testa, VFW Post # 5467, Kennett Square, PA. and the Avon Grove Lions Club. He enjoyed gardening, farming, travelling, was a history lover and was an avid fisherman and hunter. His passion was to serve others. He is survived by two daughters, Suzanne Sylvina and her husband Michael of West Grove, PA and Dianne Swenson and her husband David of West Grove, PA; one brother, Edward Finnen of Elkton, MD; one sister, Margaret Richardson and her husband Monte of Landenberg, PA; six grandchildren and eleven great grandchildren. Bill was predeceased by one granddaughter, Stacy Sylvina Connell. 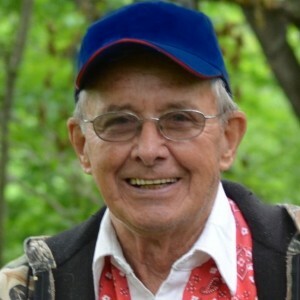 You are invited to visit with his family and friends from 10:00 to 11:00 on Wednesday morning, April 17, 2019, at the Penn Township Building, 260 Lewis Road, West Grove, PA. His Memorial service will follow at 11:00. Burial will be private. Arrangements by the Foulk Funeral Home of West Grove, West Grove, PA. Please enhance this tribute to Bill by adding your memories. Growing up on Sunnyside Road holds such special memories for me. I spent many days and nights at the Finnen home with Suzanne and Dianne. Bill and Jane were always doing things together. Planting a large garden (which resulted in lots of canning), shooting clay pigeons in the field, riding horses, hunting, fishing and going to their mountain cabin. I remember the Township meetings that were held in the basement of their home. They were both so kind and gave back so much to the community. They raised two wonderful daughters and lived to see them have families of their own. As sad as Bill’s passing is so soon after Jane, I smile knowing that they are together once again. Suzanne, Dianne and family — you are in my thoughts and prayers. I have known Bill since he married my best friend Jane Abernathy in 1953 after he left the Air Foce. He told us many stories of his action in Korea. After leaving the Air Force he trained for six months in communicating. He went to work for Western Electric, the parent company, at a salary of $50 a week. A low rate even for those days. He eventually rose, after many years, to Superviso earning a considerable higher salary. While Bill had his serious side most people who knew him well will remember him for his infectious laugh ! He loved to dance. He and Jane belonged to a square dancing club for many years where he once brought in “baby”new year wearing a diaper ! He was a fun loving kind of guy. Goodbye Bill. Harry and I and our family will always have fond memories of you and Jane.